Answer the questions the blogger that gave the award to me left for me to answer. I tend to leave cabinet doors and drawers open all of the time. Don’t ask me why, if I knew, I wouldn’t do it. I wash my hands and drip water all over the floor by the time I get to a towel to dry them (one of my husband’s pet peeves). I wear this amazing beautiful hat that is posted on me in a picture on my blog site all of the time driving down the road, going into store, walking around the house, even falling asleep in it. I wear a blue colon cancer awareness bracelet all of the time on my right wrist that reads….say it (then has the pic of an awareness ribbon) Fight it (then another awareness ribbon) Cure it. I have eczema. From a biopsy, I most recently found out exactly what it is called. Spongiotic psorisoform dermatitis. A mouth full. Sorry, if I spelled it wrong. One time, my husband and I cut a Christmas tree down out of the woods. We put it in our house and haha, guess what? It contained a nest of praying mantis’s and thousands hatched all over our apartment. I can’t sing and if you even asked me too you would immediately start screaming stop and covering your ears. My computer is broke and I have to use it in safe mode just to do anything on it. I am adding one more. It isn’t a random fact because everyone knows it. But, I LOVE MY HUSBAND AND AM BLESSED TO HAVE THE MOST WONDERFUL MAN IN THE UNIVERSE CHOOSE ME TO LOVE. OUT OF ALL THE WOMEN ALIVE, HE CHOOSES ME. THAT MAKES ME HAPPY AND FEEL SPECIAL TOO. Do you believe in “God”? Why or Why not. Yes, I believe in God. My mother gets all the credit for teaching me to be a woman of faith. I am human and sometimes ask why. Even though I know I am not supposed to. But, God is forgiving and he is here in my heart. He knows me inside and out. He gets me. He loves me. I trust him. I love him. I believe in him. Yes, I do indeed and proudly so, believe in God. 2.If there was one thing you could create within the human race what would it be? I would create the human race to have the ability to see through the pride, selfishness, and inability to judge themselves as they judge others. I would create in the human mind a natural state of non-judgmental viewpoints and acceptance. I would create a human race with the ability to understand and accept the beauty of difference and embracing the word acceptance. 3..What is your favorite smell? I have a perfume called “be amazing” I love that smell. It reminds me of the smell I smelled when walking into the store American Eagle as a teenager. 4.What is your favorite memory? My favorite memory is a very unique memory. After my husband proposed to me for marriage. When I decided to set a wedding date, I bought him a ring and got down on my knee and proposed to him that we set a wedding date. He cried and we danced. Amazing memory. My most favorite memory for sure. 5.Instead of answering these questions, what would you rather be doing? Working on posts I have in mind for my blog, that will probably be long forgotten and lost, since I am an in the moment writer. But, I actually really am enjoying answering these questions. Seriously. 6.. Do you eat your french fries with Ketchup or Mayonnaise? Ketchup sometimes. Mayonnaise, never. Sometimes, salt alone, with no ketchup. 7. Do you own pets? No, I wish I did, but my mind doesn’t have the energy to go through potty training, chewing up no no’s, etc. right now. 8. If you could change something about my blog to improve it, what would it be? I really liked your pic before you changed it. I would change it back and that is the only thing I would change. You are a beautiful and amazing person and blogger. I love the way you express yourself. 9. How do you feel about fonts? As long as I can read them, it’s fine. Wish we had more options on wordpress, or maybe I am still learning and just don’t know how to use them and integrate them into my blog. 10. Do you want to answer one more question? Absolutely, for you, especially 11. Is this award important to you? Any award is important to me. No matter how big or how small. Just the fact that you chose me and noticed my blog as important enough to honor makes the award mean more to me than any other one I will receive. Why? Because it is the first I received and it came from someone as special as you. Someone who commented on one of my posts that was so special to me that I actually reposted that comment on my blog. Much love to you. I like you and I think you are amazing and beautiful. Thank you. It is an honor. Following the rules of this award is no easy task and I am working on it consistently. I have already chosen my number one nominee. Secret though. Anyway. I still have to come up with 11 questions after choosing the 11 blogs. I’m getting there. Working hard on this today. OKAY, HERE ARE MY ELEVEN NOMINEES IN ORDER. 1. http://knittingraysofhope.wordpress.com/ http://wp.me/2nIXM The wonderful people who created this blog most likely do not have the time to follow these rules. Therefore, though it might be out of my hands to do so, my heart and God’s had wrapped around my heart at this time give me permission to allow this site to accept this award from me without having to follow any of the rules. Keep doing what you do. You are number one to me hands down. I am blessed to have these hats you made for me and my children. These will forever and I do mean forever, be cherished and never viewed as anything less than three of the most precious objects we own. Much love to you. God Bless You and he has already. With all of my heart. Thank you. I hope you don’t mind, but I want everyone to see just how special you and your blog really are, so I have posted below some words straight from your blog. Jazlyn created this black hat for our new Secret Mission. We are doing a drive for children Chemo Warriors in a specific theme. We have been planning this for a while and will probably unveil the secrecy at a later time. My daughter used black charisma yarn and did a garter stitch for the brim. The rest of the hat is e-wrapped. I am very proud that my teenage daughter enjoys making hats and finds it rewarding to give her creations to Chemo Warriors. In fact, I asked her if she wanted to keep the first hat of our Secret Mission, <yes it’s so cool, that she & my son will want one> and she told me, “Nah. There’s plenty of time to make hats for us. Let’s concentrate on the kids who are fighting cancer!”. Aww, my heart must have burst with pride. But trying to “be chill” <teenage lingo meaning mom, don’t go messing this moment up>, I just smiled and looked down so she couldn’t see my eyes that started filling with tears (of joy & pride). That’s my baby! ~Pali Making hats for sick children, babies in the NICU and Chemo Warriors is very, very rewarding. It’s my way of giving back, doing good work as an act of service or making kindness, my religion, so to speak. And when we ship off a box of hats to a hospital or oncology center, I know that the hats really make people happy and hopeful. It shows people that there are folks out in this cruel world that really do care. And sometimes we get a connection and maybe a photo of a recipient who is wearing our creation. It’s so special to me, it touches my heart profoundly to make that connection. With these special requests, it starts with that connection, the personal story. I get the privilege of getting to know what their challenges are, what they like and then I receive these beautiful photos with amazing smiles. The pictures are so much better than my imagination. Thank you for sending us these pictures! The pictures of these smiling faces wearing my creations is really my motivation. I am honored to be a small part of their lives. ~Pali 2 .Now, you my dear, must follow the rules. Saying that with humor and all smiles because you are my top choice aside from the very special blog that I have to give the first choice to. http://michelledicken.wordpress.com/ SHELLAKERS http://wp.me/36AsI I Choose to give the number two (one for rule following) spot to this blog. She is one of my followers and calls herself SHELLAKERS. The way she documents her daughters lives and motherhood is beautiful and inspiring. It is like a scrapbook of something very special. This blog must be kept alive and never shut down. Please. It will be something very special to your daughters and your grandchildren throughout the years. Not only is she amazing and expressive. He photography is excellent. The best part of it all is what she means to me. Through comments on my posts back and forth she has, even if she does not realize it, helped me in a way that will allow her to be blessed. She said in one comment that I am in the process of being blessed Big time. Well, I think I am blessed to have her in my life just by following my blog and I think her children are even more blessed to have her as their mother. She is my number one choice. 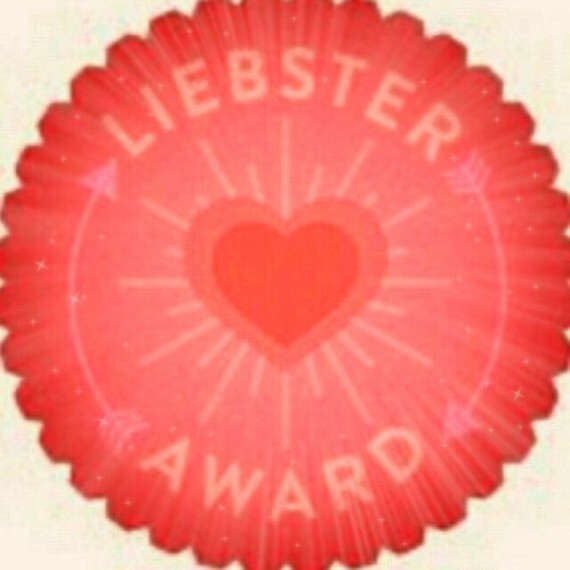 So I am giving her the Liebster Award and am honored to do so. 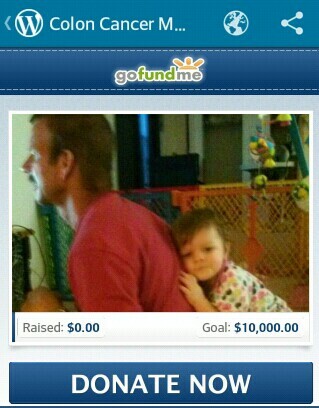 3. http://risinghawkspeaks.wordpress.com/ http://wp.me/3bPp5 This is one of my followers. He is Rising Hawk and I like his blog because it is one of those blogs that can be interpreted in many different ways. It is kinda deep in it’s own way. I have a passion for the way that we all interpret things differently and some of his poems are very inspiring just because I can see in them that “interpretation belongs to the reader”. Those are special types of poetic writings. He has also been one of the most inspiring followers I have. As all of my followers have helped me tremendously. He, too, is consistent and I feel his heart is deeply feeling for me and my situation. That, in itself, takes a special kind of person. 4.SLPMARTIN http://slpmartin.wordpress.com/ http://wp.me/LWgN Okay, a bit raw and quite forward, you must be warned before checking out this blog. However, I am going to quote the words from his blog that led me to choosing him as one of the eleven nominees. Poetry has the power to make us aware of what is hidden in the shadows…those places that we seldom see or want to see…the poet’s voice scrapes away the facade of an issue and lays bare for all to see what has been denied. By providing a voice to these mute realities, poets have throughout history altered the course of events by enlightening readers and encouraging them to take action to stop wars, halt injustice, and to reach out to their fellow man. Like those poets who have proceeded me, I am motivated by the same desire to bring about the social changes necessary to enhance the quality of life for those around me and around the world and to give voice to those who cannot speak for themselves” The Hawk Chronicles is now available onLulu.com. 5. http://ajaytao2010.wordpress.com/about/ http://wp.me/PQTM9-2 This is a blog of a very brave man who puts his thoughts out there hoping to touch others. Check it out. I have posted below, words that come straight from his blog. Hi Everybody, Basically I am an extreme introvert, I will never open up with anybody until I feel deeply intimate with that person. Thus creating lots & lots of advantages & disadvantages for me in my life. Last year “Cancer” was detected in my body and I had to undergo harsh treatment (chemotherapy). I was a high risk patient right from the stage of diagnosis. After completing my chemotherapy,“Cancer” was cleared off my body, but to no avail as new fatal, post chemo infections were detected in my body(after effects of chemo), Now I m on very heavy medications. I know the treatment is “Palliative & not Curative”. So ultimately I have decided to open up myself & share my “Thoughts & Feelings” with the world. Hope I succeed. I would like here to quote some famous personalities who have undergone cancer treatment: their expression & their feelings If children have the ability to ignore all odds and percentages, then maybe we can all learn from them. When you think about it, what other choice is there but to hope? We have two options, medically and emotionally: give up, or Fight Like Hell – Lance Armstrong One must not forget that recovery is brought about not by the physician, but by the sick man himself. He heals himself, by his own power, exactly as he walks by means of his own power, or eats, or thinks, breathes or sleeps – Georg Groddeck During chemo, you’re more tired than you’ve ever been. It’s like a cloud passing over the sun, and suddenly you’re out. You don’t know how you’ll answer the door when your groceries are delivered. But you also find that you’re stronger than you’ve ever been. You’re clear. Your mortality is at optimal distance, not up so close that it obscures everything else, but close enough to give you depth perception. Previously, it has taken you weeks, months, or years to discover the meaning of an experience. Now it’s instantaneous – Melissa Bank My Thoughts I have been actively participating with several cancer patients during their treatment in the last decade, some extremely close friends, some known people & some small children. I m witness to the strength & weakness of the patients, the most brave among them all, I found were the children, their sustainance was phenomenal apart from their innocence & sponteniety. Earlier I had learnt & understood about tolerance, endurance & wisdom, but I have experienced all these great qualities practically only with the children. I will cherish their memories till my last breath, I m absolutely sure my strength are the children & to some extent myself. Ajaytao 6 .http://lymphnodetransplant.wordpress.com/about-me/ http://wp.me/P3bHJo-13 This blog is special because it is someone sharing their journey with Lymphoedema. Cancer is a scary thing and we all need people to relate to what we are feeling. I posted the section about me: below. Please visit and check out this blog. How do you interpret the phrase, “walk blindly with faith”? What is your definition of Grace? Do you believe there is only one person on this Earth that you are destined to be with or do you believe there are many people you could be compatible with, it is just a matter of staying faithful to that one, out of the many, that you find and choose to be with? Do you feel like you judge others unfairly, while overlooking your own faults? Do you feel like you are completely honest with yourself or do you have a habit of finding ways to justify your wrongdoings? Do honest and straightforward people offend you? Not rudely straightforward and honest? People like me? People who as these types of questions? Do you fear each day that your life might end while you still have may people you need to make amends with and have important conversations with? Are you still trying to figure out who you are and what you stand for? Where you stand on important life topics? Are you afraid of life and adding to the question, are you afraid of death? Are you more afraid of your own death or the death of a loved one?